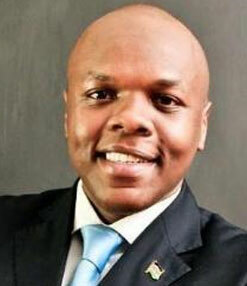 Mr. Mwakio is the current Chairperson of the Membership Committee of the USIU Africa Alumni Association Council. He holds a BSc. degree in International Business Administration–Marketing class of 2012. He applies his gift in Public Speaking at training programs and workshops focused on equipping participants with Sales, Public Speaking and Personal Branding skills. Charles also officiates and moderates corporate events as a Master of Ceremonies. Through Hifadhi Africa Organization an NGO that he Co-founded Charles is currently championing E-learning & water projects in Baringo County in partnership with Rotary Clubs of which he is a Rotaractor.